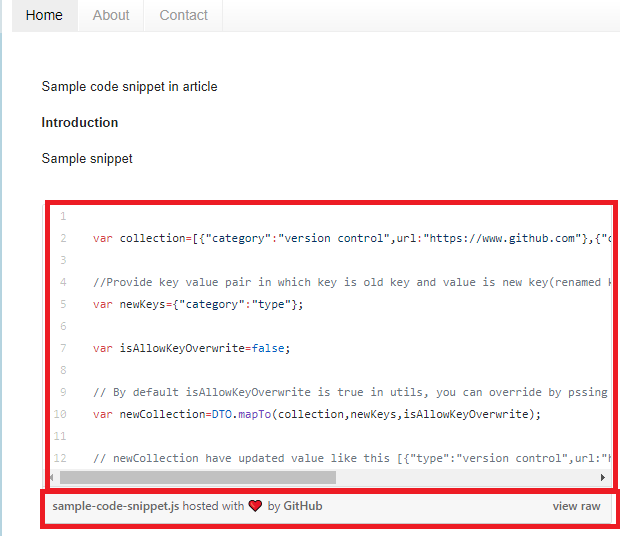 using GitHub code or gist code. 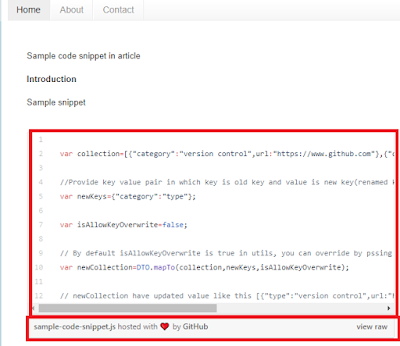 Csharp(.cs), shell script (.sh) etc So it can be loaded in an article. not in compose mode. I have attached a screenshot for blogger article as below. the snippet which rendered as below screenshot. 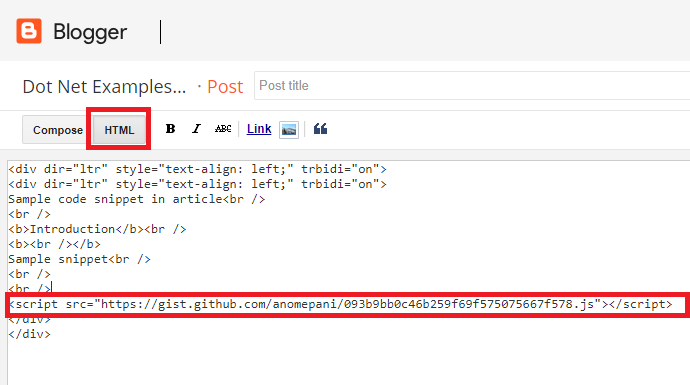 You can see sample code snippet how it can be rendered as below from gist embed script. 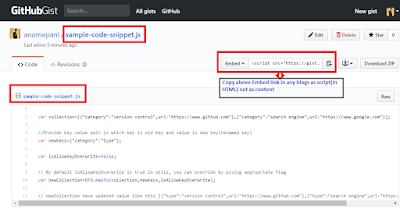 In this article, we have learned about how to highlight or add code snippet in a blog article. Great article buddy, it really helped me. I would suggest give link to gist.